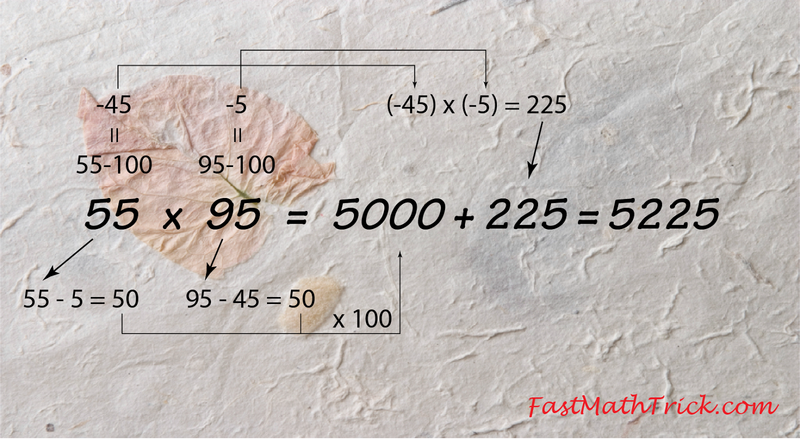 Multiplication of two numbers less than 100. Multiplication of two numbers, one of them must be close to 100. Preferably, the other one is a double digit number. 55 x 95 = ? 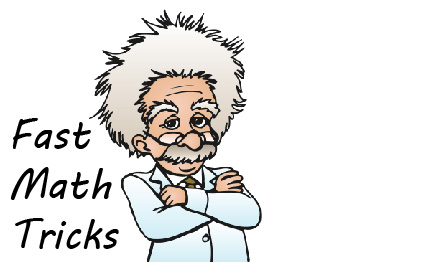 Find the 100's complement of the two numbers. 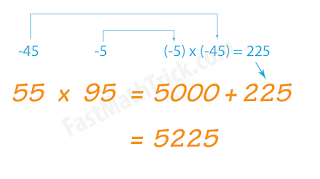 For example, 55 is 45 less than 100, hence we put its complement as -45, and with the same method, the complement of 95 is -5. Find the product of the two complement numbers (in this case, -45 and -5). 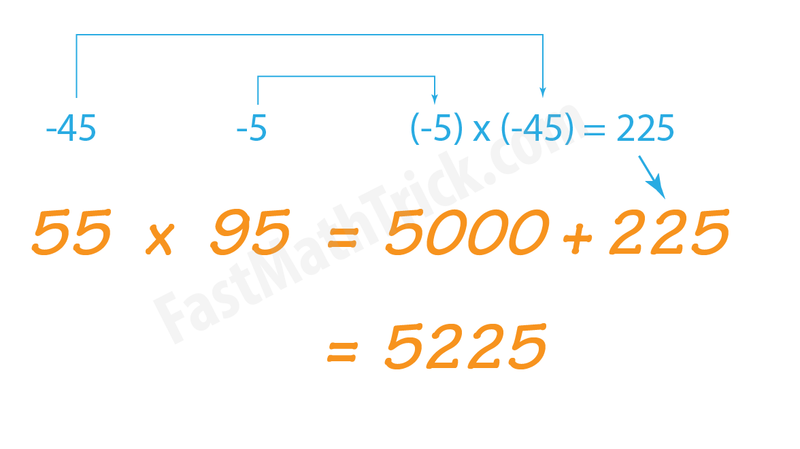 Add this number to the number that you obtained in step 2. 67 x 98 = ?